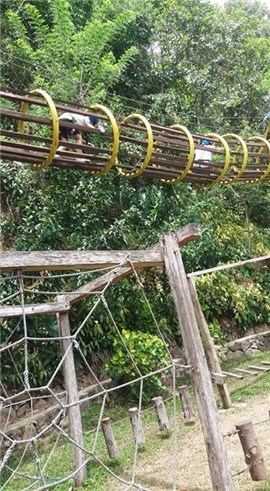 Quite easy to cross the hanging rope bridge.A piece of cake.Ha-Ha. Kurogi-san were ahead of us. They were so fast. before he decided to quit. 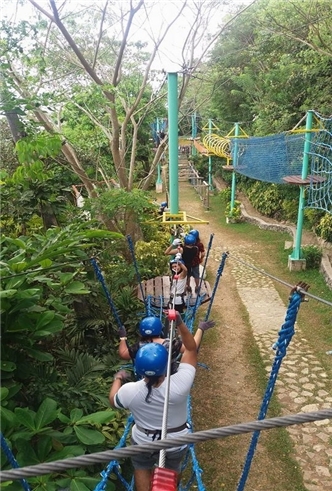 finishing the rope course and liters of sweat were coming out of our bodies. realized, it’s already time to eat lunch!! on which kind you want to choose. 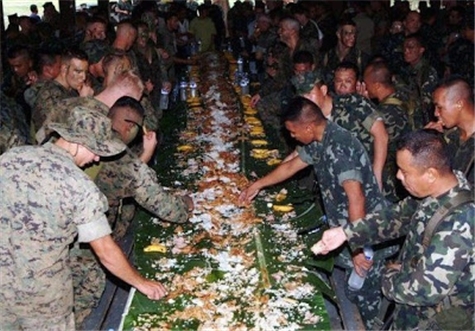 We call this style of meal, “boodle fight”. 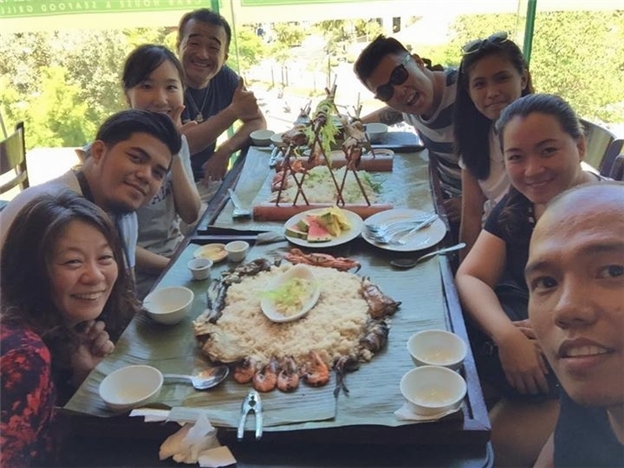 Everyone enjoyed the scrumptious lunch at Blackbeard’s Seafood Island. I think that’s all for now. I hope you liked my summer ender blog. Until next time!